With a stay at Hotel Noah Resort Sakura-no-miya - Adults Only, you'll be centrally located in Osaka, within a 10-minute drive of Osaka-jō Hall and Osaka Castle. 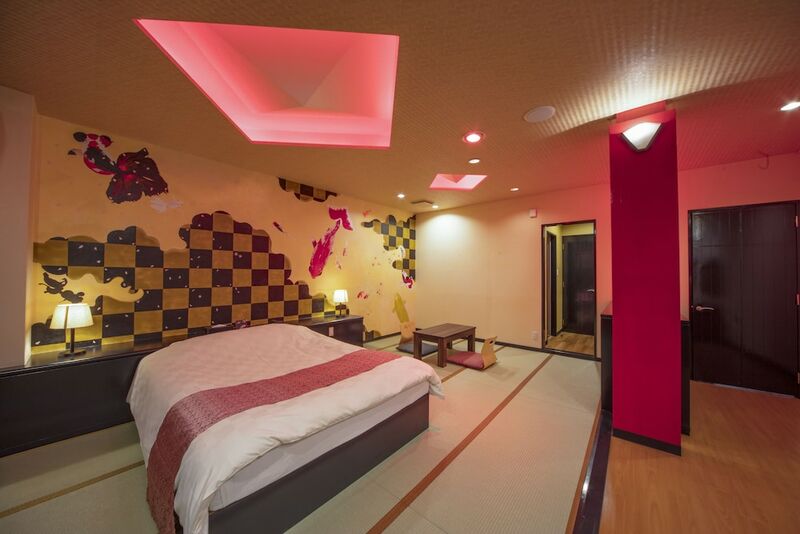 This love hotel is 3 mi (4.8 km) from Shinsaibashi Shopping Arcade and 3.1 mi (5 km) from Amerikamura. Make yourself at home in one of the 38 individually decorated guestrooms, featuring microwaves and flat-screen televisions. Digital programming and DVD players are provided for your entertainment, while complimentary wireless Internet access keeps you connected. Bathrooms with separate bathtubs and showers feature jetted bathtubs and designer toiletries. Conveniences include phones, as well as minibars (stocked with some free items) and complimentary bottled water. Take advantage of the hotel's 24-hour room service. Full breakfasts are available daily from 6:30 AM to 9:30 AM for a fee.